Hello Edita,My name is Patti, interviewing you on behalf of the Etsy Beadweaver Team. 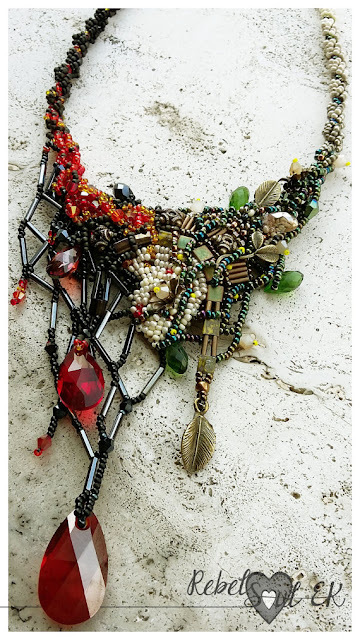 Your Lava neckpiece is a wonderful mix of freeform and bead embroidery and a lovely interpretation of the theme. 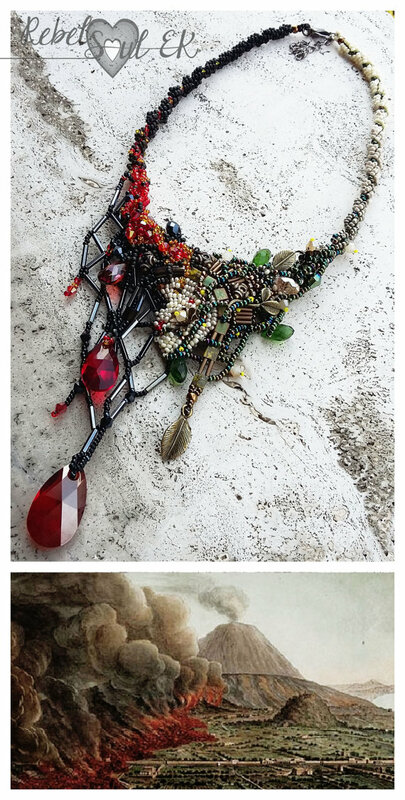 How do you design your pieces, do you draw them out first or just follow where the beads lead you? Is there a technique you are looking forward to learning more about? Is there anything else you would like to share with the EBW community?